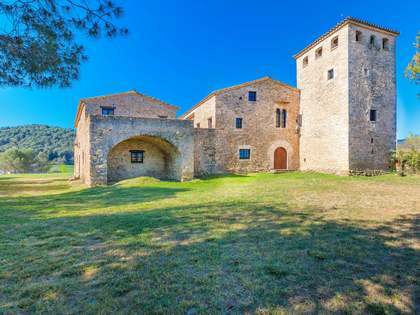 A 13th Century castle to buy located near the town of Banyoles in Girona province. 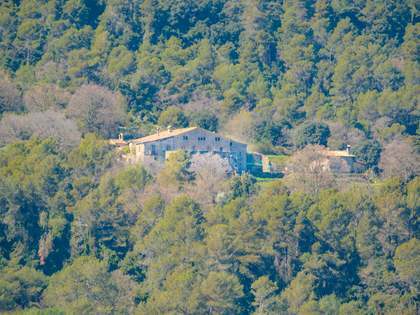 This beautiful, authentic property is set in 9ha of private land in the beautiful countryside surroundings of the Pla de l'Estany. 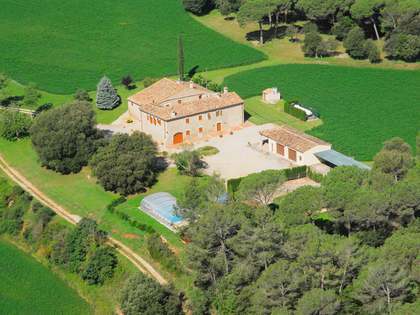 The estate comprises the main castle building of 872m2, a separate staff house of 254m2, agricultural outbuildings and 9 hectares of land, of which 2.2ha is set to pasture and 7ha is woodland. The castle is located just 15km from the town of Banyoles with its beautiful lake and only 35km from Girona city and its international airport. Acccording to various publications, the castle was the centre of the barony of Falgons, property of the Cartellà family, since the 13th Century. 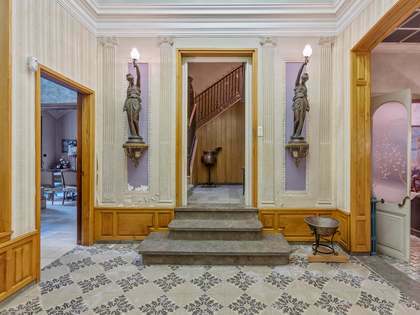 There is a tower on each corner of the Castle and in the centre of the building is a beautiful interior patio. The castle has been very well maintained and preserved but would benefit from some cosmetic improvements. The property would make a superb venue for special events and functions. 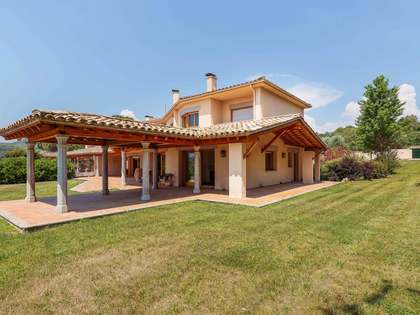 View more Girona real estate to buy. 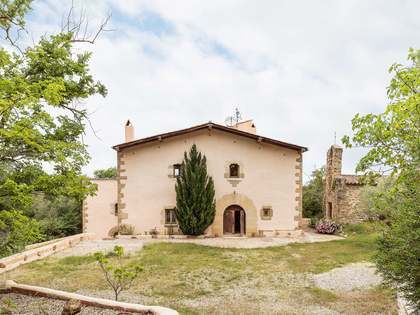 This beautiful 13th Century castle for sale is located in stunning countryside surroundings in the hills of the Pla de l'Estany, just outside the town of Banyoles. The nearest golf course is Golf Girona (30km) and the nearest beaches of the Costa Brava, at L'Escala, only 50km away. View more exclusive Spanish real estate to buy.